Live broadcast participatory event with video documentation, developed in collaboration with Oliver Walker. 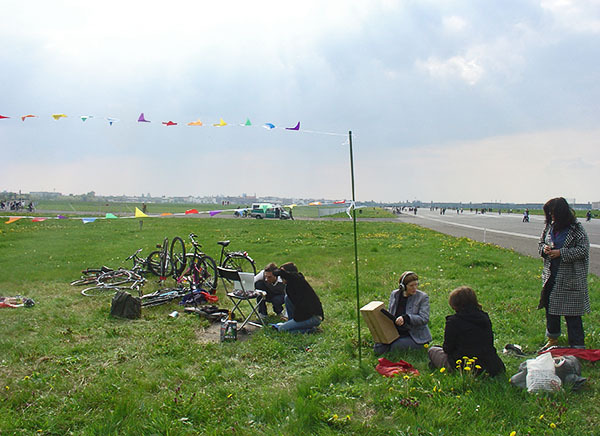 A competition was held at the newly-opened grounds of Berlin’s former Tempelhof airport in which members of the public were invited to mimic the sound of aircraft taking off; their efforts formed the soundtrack to a live video looking out across the former airfield broadcast online. 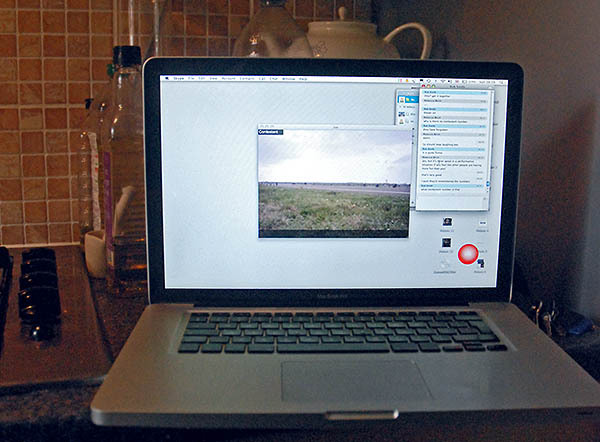 The work was developed as part of Field Broadcast, a project curated by Rebecca Birch and Rob Smith for Wysing Arts Centre, Cambridgeshire, UK. 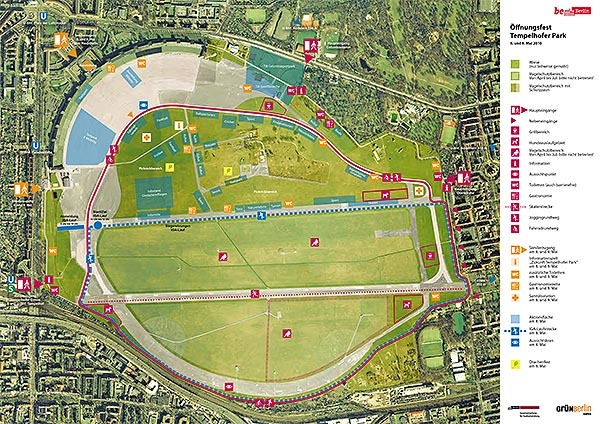 The weekend of 8-9 May 2010 marked the opening of one of the largest inner-city open spaces in the world. The grounds of the former Tempelhof airport in Berlin had been reassigned as a vast park, and the public were invited to come and use it. Having already witnessed the first demonstration of flight by Armand Zipfel in 1909, Tempelhof was officially designated as an airport in 1923, and the founding of Lufthansa there in 1926 cemented its place in aviation history. By the end of the 1930s Tempelhof had become one of the busiest airports in the world, and was fully incorporated into the Hitler’s plans for the redevelopment of Berlin. Between 1936 and 1941 an enormous new terminal building was constructed, which, at 1.2km long, remains one of the largest buildings in the world. After the end of the Second World War, Tempelhof Airport hosted over 200,000 flights delivering fuel and food as part of the Berlin Airlift. In the decades following the war Tempelhof established itself as West Berlin’s main commercial airport. By the 1970s however, it had begun to decline, gradually losing its traffic to the more modern Tegel Airport. 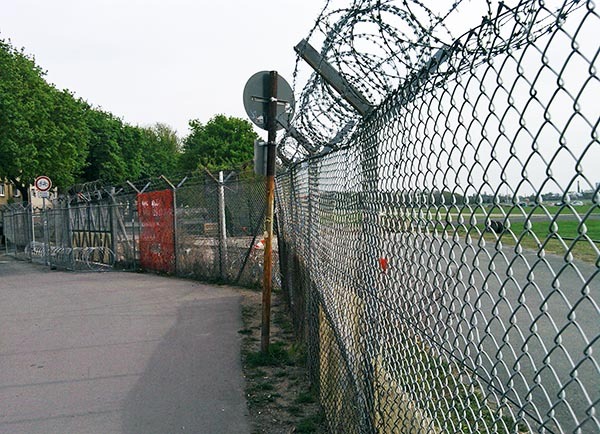 In its last years Tempelhof was hosting only a handful of small commuter aircraft, and in 2008 – despite vehement protests and a failed referendum – was closed due to its commercial non-viability. So after a century of aviation activity, the site fell silent. What remained was a huge terminal building, a 380-hectare expanse of grounds, two abandoned runways, and several generations of history and memory. 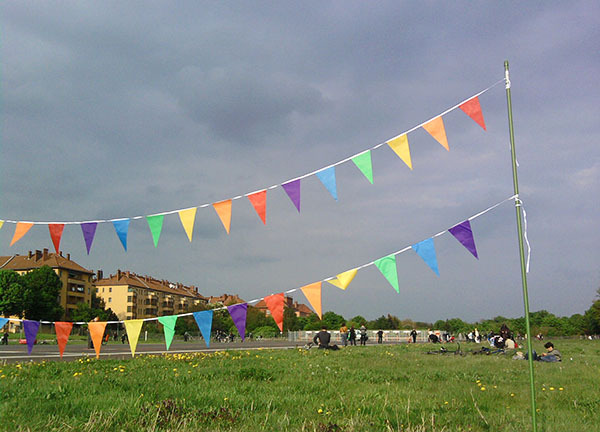 Under a banner of “Bewegungsfreiheit” [freedom of movement] Tempelhofer Feld was opened up to the inhabitants of the city. That opening weekend attracted over 200,000 visitors and represented the first chapter in a new story: a unique urban site fought over by the conflicting interests of local inhabitants, city authorities, tourists, naturalists and property developers alike. Airshow attempted to reintroduce to the airfield something of its former sonic landscape. Members of the public were invited to simulate, as accurately as possible, the sound of planes taking off. The online viewers of Airshow were the judges, deciding who had filled the sonic void most convincingly. This remote audience, presented with a simple uninterrupted view across the airfield, was thus encouraged to reflect upon a mute image of a historic site brought to life by the simulated sound of its past.